Herberto Helder is a poet who falls within the broad context of universal poetic culture. His poetic universe is autonomous and has its own characteristics. Considered as one of the most important experimental or concrete poet, he is also known as a visionary poet, holding a special place in the Portuguese surrealist poetry. It can be thus be seen that the work of Herberto elder is complex and undoubtedly one of the highest expressions of contemporary Portuguese poetry. With Herberto Helder the reader won’t expect a world completely built. Instead, he will find a world with a different shape, a shape that is dictated by issues of rhythm, of words with isolated meaning. It is therefore reliving, and no longer reproducing, which moves Herberto Helder. 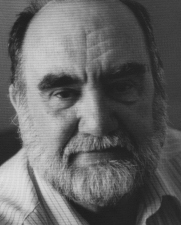 Herberto Helder, person and poet, appears as a mystical figure within the history of Portuguese poetry, completely withdrawing from any circuit of visibility.